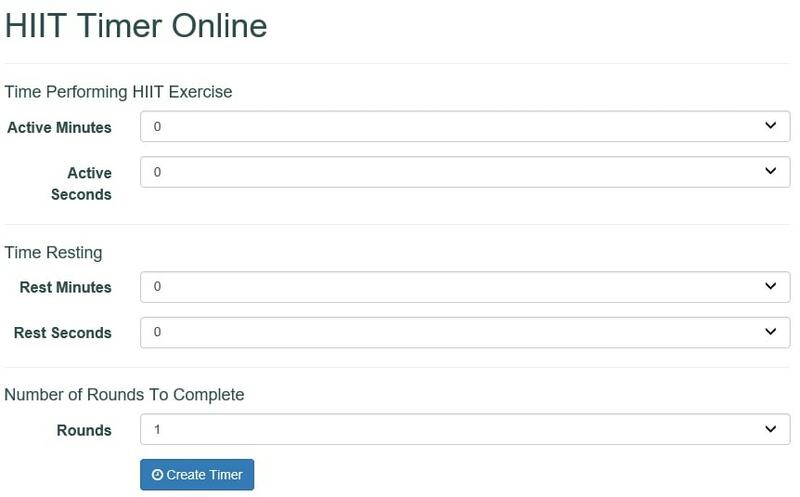 To go to our HIIT Timer click on the menu item Fitness Software. Click on the exercise software menu item. The menu item will show a drop-down menu with the HIIT Timer under it. Click on the HIIT Timer menu item to go to the timer. You will now be on the HIIT Timer setup screen. You will set the amount of time you want to be performing your HIIT activity for by using the combo box. The first combo box will allow you to select the number of minutes. The second combo box will enable you to specify the number of seconds. 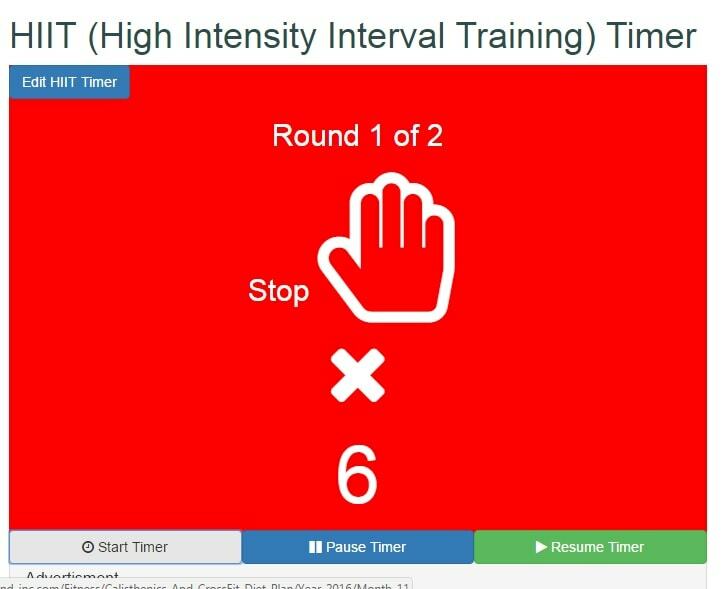 In the Active section area, you will select the number of minutes and seconds that you will be performing the high-intensity exercise. Next, go to the Rest section and choose the number of minutes and seconds that you will be resting after performing the HIIT exercise. Now select the number of rounds you are going to complete. One round consists of both the active and rest time. 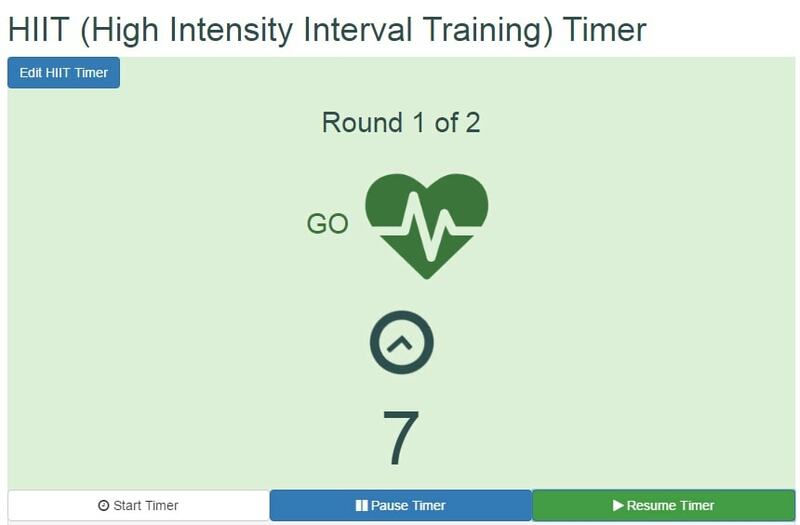 Click on Create Timer to make the HIIT Timer screen with the times you selected. When clicking on the start button, there will be a 5-second delay to allow you to get into your position that you will be performing your HIIT exercise. The screen will turn green when you are to be performing your HIIT exercise and red when you should be resting. Remember that during your rest periods it is best not to stop moving. So if you were performing sprints for the active HIIT portion of your routine, you should perform an simple action like walking during the rest period.